Call a plumber to winterize your asset. In cold climates, vacant properties are vulnerable to costly and serious damages from frozen and burst water lines. Winterize all plumbing fixtures, inside and outside a home, including sinks and toilets, outdoor spigots, and dry, steam and radiant heat systems. Drain all water lines and use air compressors to assure that all water is blown out of the lines. Drain hot water tanks and pressure-test the system for possible leaks. Toilets should be cleaned and flushed, and antifreeze added to bowls and tanks. 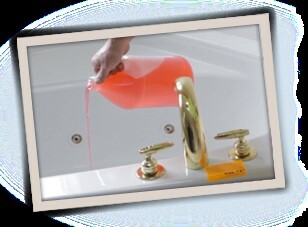 Antifreeze can be poured into sink drains and traps. Apply stickers to all winterized fixtures noting the date of winterization, providing contact information, and advising that the fixtures cannot function without a proper de-winterization.